Volkswagen's seven-seat Tiguan Allspace and the T-Roc compact SUV are now available to order in R-Line trim. The new range-topping trim level – offered across a selection of engine and gearbox combinations in both model ranges – adds sports styling inside and out along with equipment upgrades and enhancements. 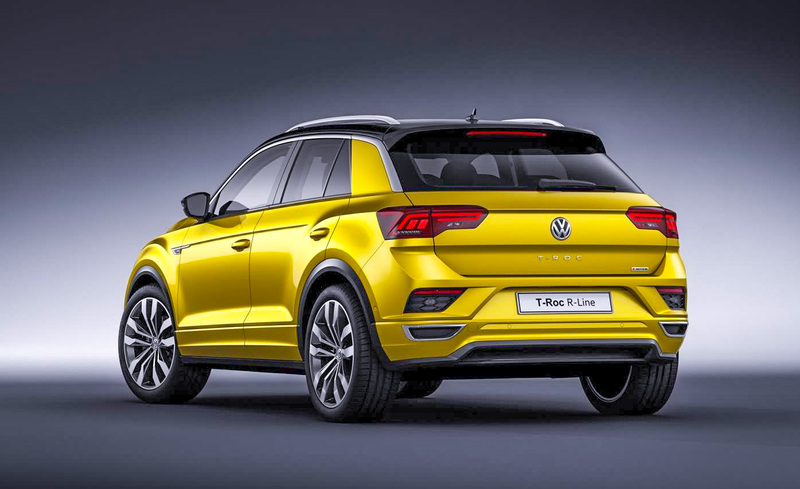 The new T-Roc compact SUV is already making a name for itself among buyers and the addition of the R-Line trim level adds enhanced looks and uprated handling to the T-Roc's comprehensive list of appealing features. Additions to T-Roc R-Line models include 19-inch 'Suzuka' alloy wheels shod with low rolling resistance tyres; sports suspension; body-coloured roof spoiler and styling pack including R-Line design front and rear bumpers, black wheel arch extensions, body-coloured side skirts and unique R-Line badging. On the inside, the T-Roc gains a black roof lining, dark grey decorative inserts in dash and door panels, front foot well illumination, front LED reading lights, Carbon Flag upholstery, chrome R-Line door sill inserts, aluminium pedals, R-Line carpet mats front and rear and a flat-bottomed R-Line leather multi-function steering wheel. Four T-Roc R-Line model variants are now available to order in the UK, with first deliveries expected in June. 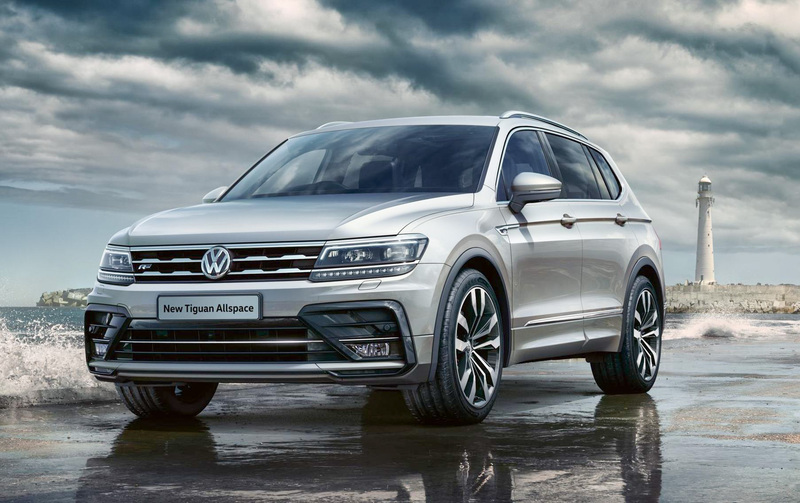 The new Tiguan Allspace R-Line trim adds 20-inch 'Suzuka' alloy wheels as standard and a sports suspension set-up that can be further optimised via the addition of optional Dynamic Chassis Control which brings with it a choice of Sport, Comfort or Normal suspension settings. Like the smaller T-Roc, the seven-seat Tiguan Allspace R-Line also features a body-coloured roof spoiler, glossy black air intakes and rear diffuser and extensive R-Line styling pack. Inside, the Tiguan Allspace R-Line models benefit from the addition of aluminium-look decorative inserts in dash and door panels, black roof lining, leather trimmed three-spoke multifunction steering wheel with aluminium inserts and R-Line logo, 'Race' cloth upholstery and 'San Remo' microfibre inserts, R-Line logo on front seat backrests, stainless steel pedals and unique 'R-Line' door sill protectors. Five Tiguan Allspace R-Line derivatives are available to order in the UK, with first deliveries likely in May. ➤ Call and have a chat with our award-winning Customer Service Team on 0800 043 2050 to discuss our best leasing deal on your Volkswagen Tiguan Allspace R-Line and T-Roc R-Line.